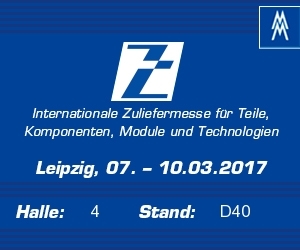 From 7th till 10th of March 2017 the interational subcontracting fair (Z) for parts, components, modules and technologies is taking place in Leipzig. This year approx. 1,400 exhibitors from thirty countries will be on hand at the Z and Intec to present their complex performance spectrum on an area spanning 70,000 sq.m. 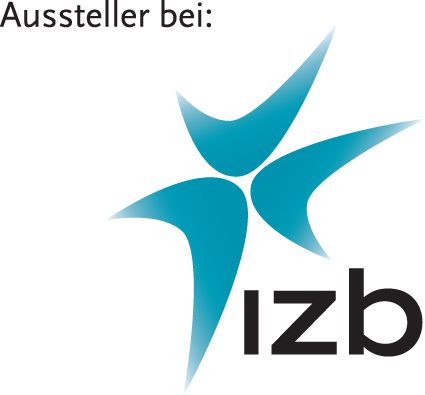 From 18th till 20th of October 2016 the leading European trade fair for the automotive supplier industry, IZB, is taking place in Wolfsburg. We will be pleased to greet you there at the pavilion of automotive thueringen in Hall 2 Stand 2107(2209). We exhibit! The HANNOVER MESSE, from April 25th till 29th 2016, will showcase ground-breaking innovations in the context of 5 international flagship fairs. The lead theme "Integrated Industry ", signals a strong focus on the current trend towards integration across all areas of industry.